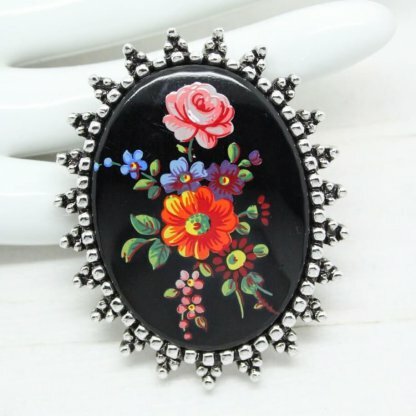 Description: This beautiful Sarah Coventry brooch features a unique Russian inspired design of hand finished painted flowers on a black cabochon background. Finished with a textured silver tone setting. 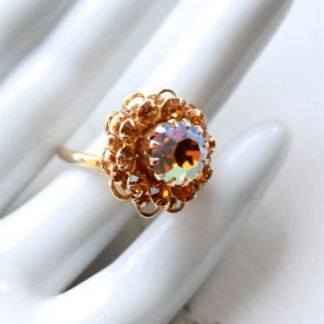 It’s timeless style makes this a brooch that can be worn with any outfit, it’s sure to enhance any dress and be the envy to onlookers. Measuring 5cm at tallest point. Complete with a working roll lock clasp and pendant loop to the back. 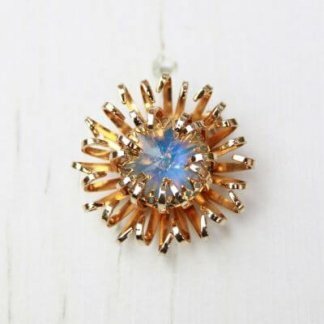 The brooch is in good condition showing slight to no wear.